Ellis Law Group LLP is a boutique trial and litigation law firm founded by attorneys with established reputations as trial and appellate advocates. Our attorneys enjoy the practice of law and we evince that passion by our dedication to our clients and their cases. Our major practice areas include FDCPA defense, professional malpractice litigation (particularly legal malpractice defense) and commercial litigation involving banks, businesses and individuals. The firm has a nationwide reputation for defending collection professionals and law firms sued under the federal Fair Debt Collection Practices Act (FDCPA), the Fair Credit Reporting Act (FCRA), the Telephone Consumer Protection Act (TCPA), and their state law equivalents. 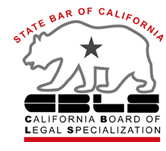 We possess extensive experience in handling complex litigation, including class actions under Federal Rule of Civil Procedure 23 and under California's Unfair Competition Law, Business and Professions Code §17200. The Ellis Law Group is ranked a "first tier" firm in the field of legal malpractice defense in 2019 Best Law Firms, a publication of U.S. News & World Report. It is the eighth consecutive year that Ellis Law Group has been so honored. The rankings are based on a rigorous evaluation process that included thousands of clients, leading lawyers and law firm representatives. 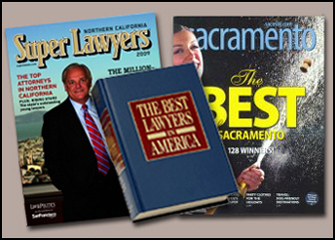 in legal malpractice defense by The Best Lawyers of America, a publication circulated internationally that identifies leading practitioners in 37 specialties based on 5.5 million evaluations of lawyers by lawyers. Mr. Ellis has been named a "Super Lawyer" in civil litigation by the attorney-rating service Super Lawyers for 15 years, and is included among the nation's top civil litigators in Super Lawyers Business Edition, a publication distributed to 40,000 CEOs, presidents and in-house counsel. Ellis Law Group LLP's mission statement mandates the delivery of high quality, personalized legal representation at reasonable rates. We promise that each case will be handled by an accomplished trial lawyer. Recent successful trials have involved such varied areas of the law as legal malpractice defense, FDCPA defense, FCRA defense, TCPA class action defense, banking and commercial law, commercial landlord/tenant, breach of contract, personal injury, quieting title to real property, and sexual harassment defense. Ellis Law Group, LLP is decidedly not a "9-to-5" law firm. Every single day, we represent clients who have serious legal problems. Our Firm understands that its clients' reputations, emotional tranquility, finances and futures are often at risk. For these reasons, the attorneys of Ellis Law Group LLP zealously represent their clients. It is a job our attorneys and staff welcome and take very seriously.